We have a 50% interest in the Badr Petroleum Company (BAPETCO), a self-operated joint venture between Shell and the Egyptian General Petroleum Corporation (EGPC). 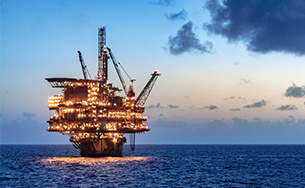 BAPETCO onshore operations are in the Western Desert where we have an interest in nine oil and gas producing development leases, as well as four exploration concessions (North East Obaiyed, North Matruh, North East El Shawish and North Umbaraka). We have interests in two gas-producing areas offshore the Nile Delta. We have a 40% interest in the Rashid Petroleum Company, a self-operated joint venture between Shell, EGPC and Edison, which operates the Rosetta concession (Shell interest 80%). We also have a 25% interest in the Burullus Gas Company (Burullus), a self-operated joint venture between Shell, EGPC and PETRONAS. 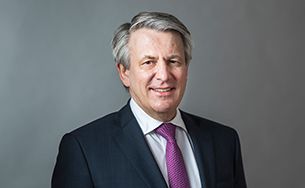 Burullus operates the West Delta Deep Marine concession (Shell interest 50%), which supplies gas to both the domestic market and the Egyptian LNG plant (see “Integrated Gas”). We also have a 60% interest in the development rights over the Harmattan Deep discovery and in the Notus discovery offshore the Nile Delta. In April 2018, we approved the FID for the development of Phase 9B of the WDDM offshore concession (Shell interest 50%). Our share of production, onshore and offshore, in Nigeria was 255 thousand boe/d in 2018, compared with 266 thousand boe/d in 2017. Security issues, sabotage and crude oil theft in the Niger Delta continued to be significant challenges in 2018. 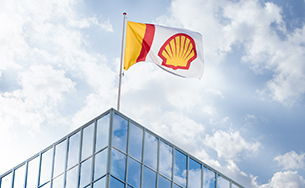 The Shell Petroleum Development Company of Nigeria Limited (SPDC) is the operator of a joint venture (Shell interest 30%) that has 17 Niger Delta onshore oil mining leases (OML). The 20-year renewals of 16 oil mining leases (OMLs): 17, 20, 21, 22, 23, 25, 27, 28, 31, 32, 33, 35, 36, 43, 45 and 46 were achieved in December 2018. These OMLs expire in October 2038. To provide funding, alternative funding arrangements, including with commercial banks, are in place for certain key projects. SPDC supplies gas to Nigeria LNG Ltd (see “Integrated Gas”) mainly through its Gbaran-Ubie and Soku projects. In 2018, we took the FIDs on Assa North, Gbaran Enwhe and Gbaran Nodal Compression projects (Shell interest 30%). Also in 2018, we announced a notable near-field exploration gas discovery in the greater Gbaran area, onshore Niger Delta. It was discovered in the Epu Field block OML 28, located beneath the producing Epu Field in the Central Swamp of the Niger Delta (Shell interest 30%). 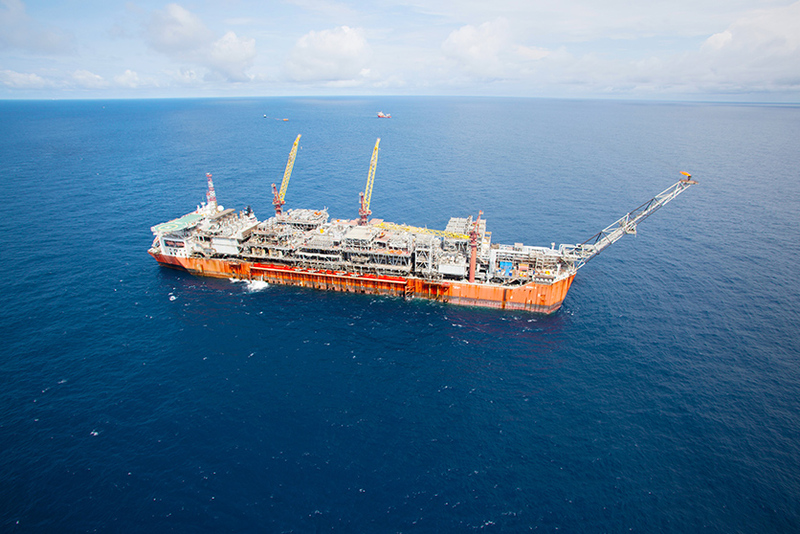 Our main offshore deep-water activities are carried out by Shell Nigeria Exploration and Production Company Limited (SNEPCO, Shell interest 100%), which has interests in four deep-water blocks, three of which are under PSC terms, in which production is via two FPSOs – Bonga and Erha. SNEPCO operates OMLs 118 (including the Bonga field FPSO, Shell interest 55%) and 135 (Bolia and Doro, Shell interest 55%) and has a 43.8% non-operating interest in OML 133 (including the Erha FPSO). Separately, SNEPCO holds a 50% non-operating interest in oil prospecting licence (OPL) 245 (Zabazaba, Etan), under a production sharing agreement. We have two non-producing offshore interests OPL 284 (Shell interest 45%) and OPL 286 (Shell interest 66% as operator). Authorities in various countries are investigating our investment in Nigerian oil block OPL 245 and the 2011 settlement of litigation pertaining to that block. SNEPCO also has an approximate 43% interest in the Bonga South West/Aparo development via its 55% interest in OML 118. In February 2019, we agreed the heads of terms for the resolution of the OML 118 negotiations including the PSC dispute with the NNPC, following which we now have a clear commercial framework for a potential Bonga South West Aparo FID and announced an invitation to tender. A timeframe for the FID will be announced after the commercial framework is agreed. SPDC also has three shallow-water licences (OMLs 74, 77 and 79) and a 40% interest in the non-Shell-operated Sunlink joint venture that has one shallow-water licence (OML 144); all four OMLs expire in 2034. In our Nigerian operations, we face various risks and adverse conditions which could have a material adverse effect on our operational performance, earnings, cash flows and financial condition. There are limitations to the extent to which we can mitigate these risks. We carry out regular portfolio assessments to remain a competitive player in Nigeria for the long term. We support the Nigerian government’s efforts to improve the efficiency, functionality and domestic benefits of Nigeria’s oil and gas industry, and we monitor legislative developments. We monitor the security situation and liaise with host communities, governmental and non-governmental organisations to help promote peace and safe operations. We continue to provide transparency of spills management and reporting, along with our deployment of oil-spill response capability and technology. We execute a maintenance strategy to support sustainable equipment reliability and have implemented a multi-year programme to reduce routine flaring of associated gas. We also have interests in Algeria, Mauritania, Namibia and Tunisia.